Spectrin was first isolated by Marchesi and Steers (1968) and by Mazia and Ruby (1968), from human and bovine erythrocytes, respectively. 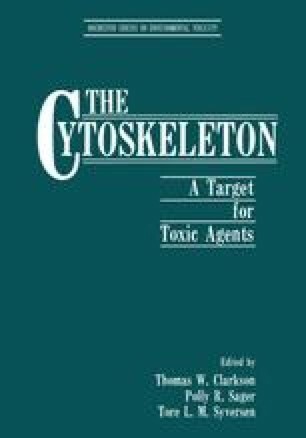 In human erythrocytes, it is now commonly believed that spectrin together with actin, protein 4.1, and possibly protein 4.9 constitute the major part of the membrane skeleton, and that this extrinsic membrane skeleton is crucial in maintaining the mechanochemical properties of these cells (for review see Evans and Skalak, 1979; Branton et al., 1981; Gratzer, 1981; Bennett, 1982; Cohen, 1983; Sheetz, 1983). For many years it was believed that spectrin was a protein present only in the membrane skeleton of the highly specialized erythrocyte membrane. However, a few years ago, Goodman et al. (1981) reported the presence of material immunologically cross-reactive to erythrocyte spectrin in nonerythrocyte tissue. Since then, studies in many laboratories have demonstrated the presence of a family of proteins related to erythrocyte spectrin in essentially every nonerythroid tissue examined (Bennett et al., 1982; Burridge et al., 1982; Glenney et al., 1982, 1983; Kakiuchi et al., 1982; Nelson and Lazarides, 1983; Repasky et al., 1982; Aster et al., 1984). We will refer to these proteins as nonerythroid spectrins.